In 2015 Sotheby’s auctioned a medium-sized trove of stuff from the former royal family of France, the House of Orléans. 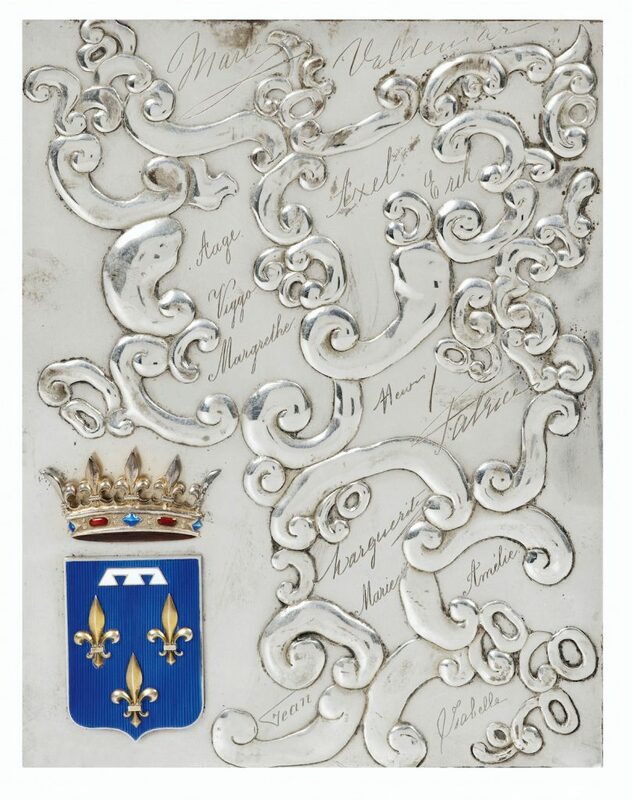 Included was this silver-plated and enameled bronze plaque, which featured the crowned coat of arms of the Princes d’Orléans, a bunch of repoussée auricular swags, and thirteen engraved signatures. Les signatures sont très probablement celles de Henri (comte de Paris) et Isabelle (princesse d’Orléans-Bragance, comtesse de Paris), Valdemar (prince de Danemark), Aage, Axel et Eric (princes de Danemark, comtes de Rosenborg), Amélie (princesse d’Orléans, reine du Portugal), Jean (futur grand-duc de Luxembourg), Margrethe (fille de Charles, duc de Vestrogothie et épouse du prince Axel de Danemark), auxquelles il faut ajouter quatre signatures non attribuées, Marguerite, Patrice et deux fois Marie. It seems pretty wild to me. There was no foolin’ around with the coat of arms, obviously, but everything else seems to have been improvised in the extreme. 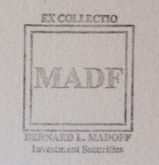 The signatures–all first names–are distinct in their style, and wild in their placement. Those swags look like doodles come to life. It’s like the young wedding party drew up a souvenir themselves on the spot, and handed it off to the silversmith, a melange of extravagance, intimacy, and whimsy. I knew a woman who was a bridesmaid for Grace Kelly, and received a customized photo album of the event. I later saw a similar album from another wedding party member turn up at Glenn Horowitz in East Hampton. Which makes me wonder if there are indeed multiple albums from Henri & Isabelle’s wedding, sitting in the bibliotheques of the descendants of various cousins royal. And if so, do they have these plaques, or something related? Was this a proof, a spare, a prototype? Part of me wants this to be a unique object, and thus, a unique work, declared from afar, and sitting in the collection of some unsuspecting aristophile or decorator. But I’m also happy to declare it a multiple. 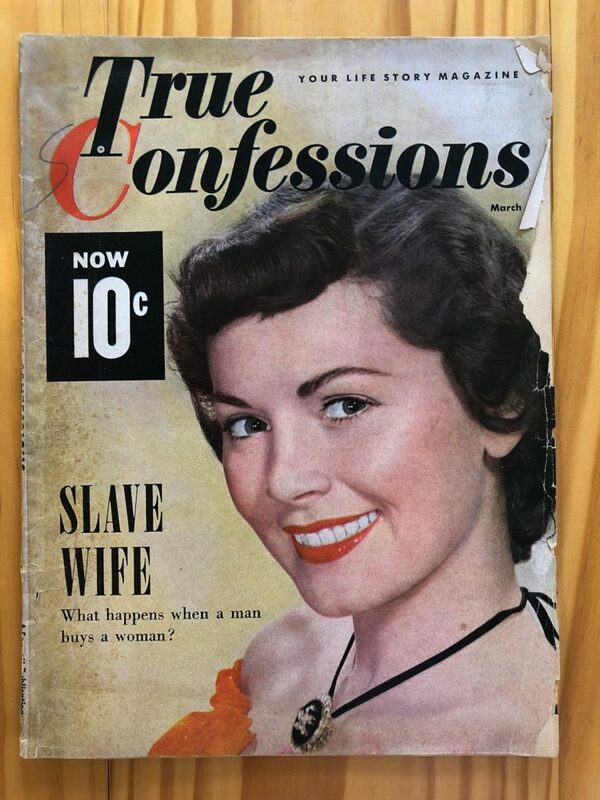 Assuming this one’s from the happy couple, eleven in the edition remain to be fabricated. RSVP. This weird practice I’ve been exploring leaves me very aware of how I discuss it, and of how works are explained. I try to be accurate about what I actually do, or what a work has to do with me. A lot of times, the work exists, and I announce it. Or I’m stoked to announce it. It’s on view. It is available. Sometimes it is conceptualized. Rarely is it conceived; that doesn’t feel like how it works. It’s not really found, though that is obviously part of the process. 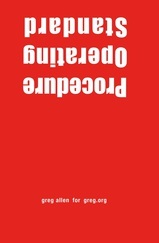 Same with declaring it, though I bridle at the ostensible ease, which can make me doubt myself as a Duchampian poseur, or an armchair usurper of someone else’s creative exertions. But sometimes, rarely, exquisitely, there is a right word to describe the flow from which a perfect product emerges. In this case the word is realized. I realized this work in a hot-tweeted instant about an hour ago. 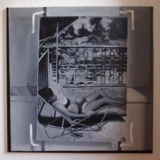 This work was realized at the Hirshhorn Museum. It is also interesting to me how immediately and completely realizing a work transforms the context and history around it. Something I hated with disgust I now love-hate. This huge, overbearing, aggressively dumb sculpture once seemed to me a monument to its own pomposity and that of the institution(al leadership) that brought it to town, then set it smack in the unavoidable center of things, then promptly discovered it was too big and unwieldy and expensive to get rid of, and that it wasn’t even clear the site’s hollow foundation could support the apparatus needed to remove it, or survive the attempt unscathed. So yeah, amazing how that’s all changed now. And you can see it during the shutdown. 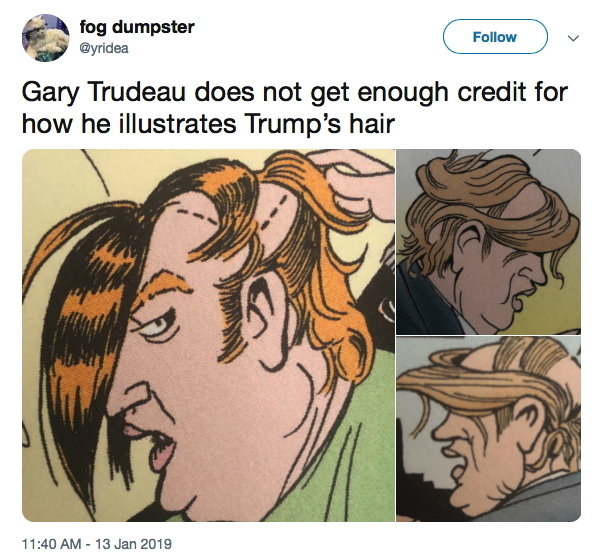 What you can’t do, though, is ever unsee it. 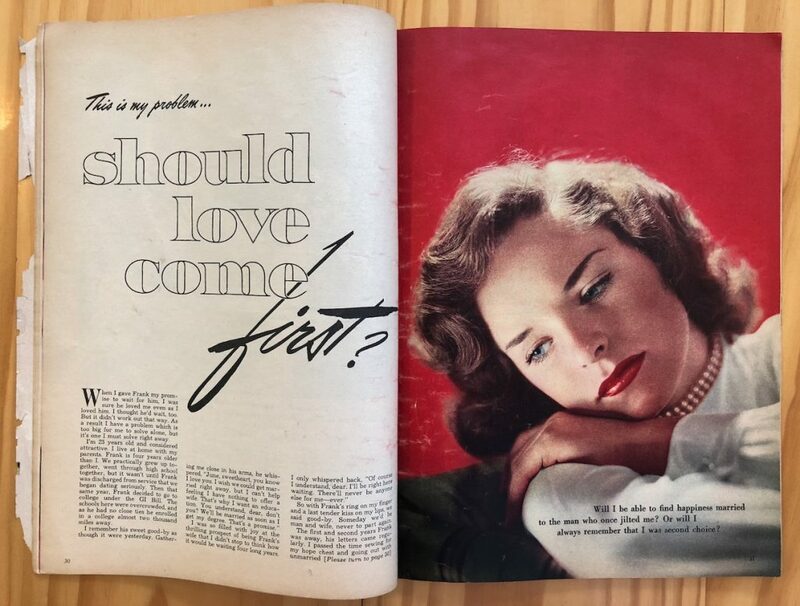 In Bruce Hainley’s new essay on Cady Noland [Artforum Jan ’19, too short at 12 pages] I learned that the artist’s mom, Cornelia Langer Noland Reis, was the co-owner with Maria O’Leary of a world-focused jewelry and fashion boutique in Old Town, Alexandria known as Nuevo Mundo. 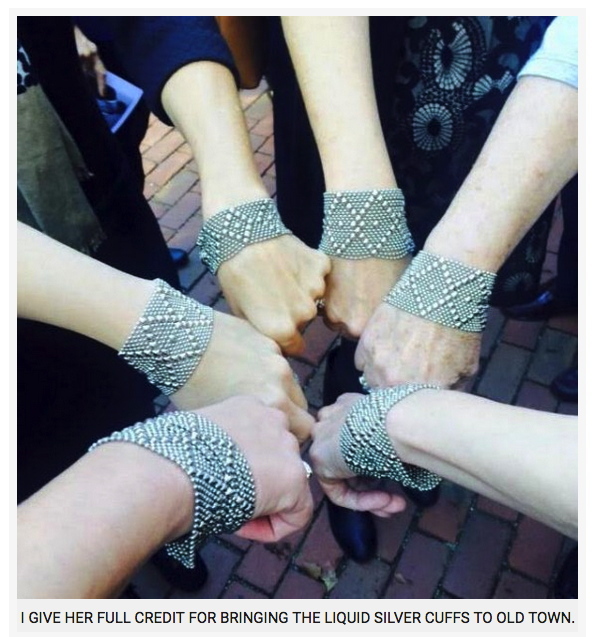 The image, with caption, at top, is from a 2015 remembrance of O’Leary, who was a life/style icon to the moms and daughters of Old Town. 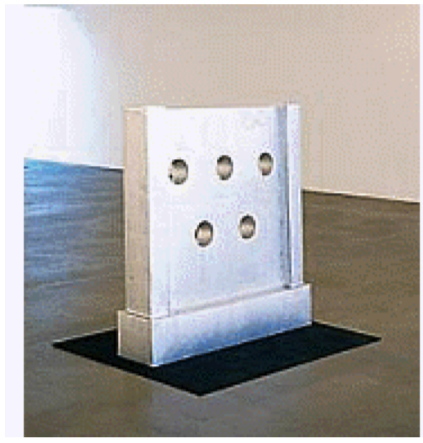 The image above was screencapped from a checklist of Robert Gober’s 2014 MoMA retrospective. 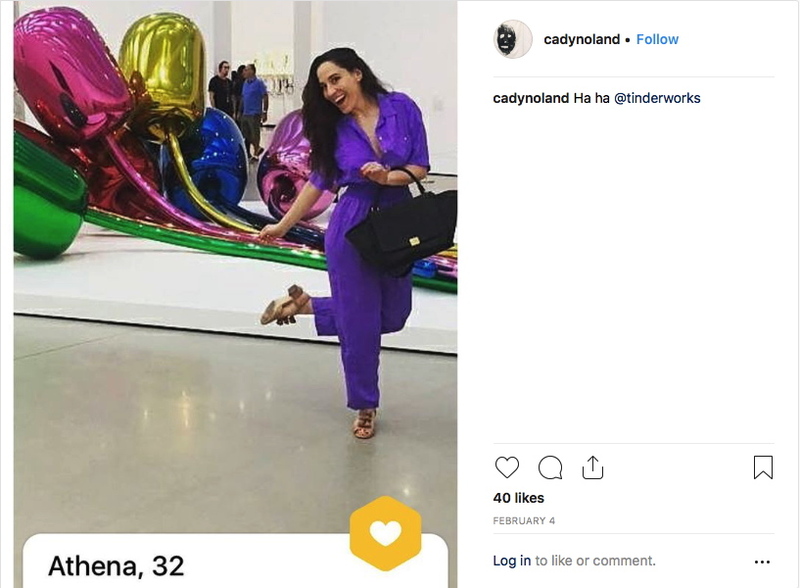 It included a re-staging of his 1999 group show for which Cady Noland made Stand-In for a Stand-In, a cardboard version of a stock. When David Hammons’ How Ya Like Me Now?, a billboard-size portrait of a blonde & blue-eyed Jesse Jackson was being installed on a vacant lot in downtown Washington, DC in 1989, Black passersby who first encountered it without the soothing benefit of a museum guide or explanatory text took offense–and then a sledgehammer–to it. That incident and that work are now a major part of Hammons’ story. 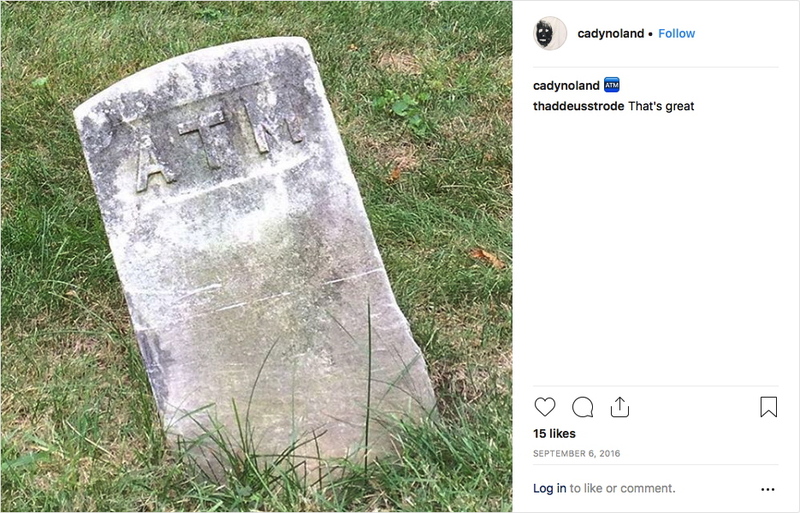 Four years later, Hammons again encountered local resistance while installing another outdoor sculpture, which was then vandalized, and later destroyed. It all went down on the bucolic campus of Williams College, in Williamstown, Massachusetts. 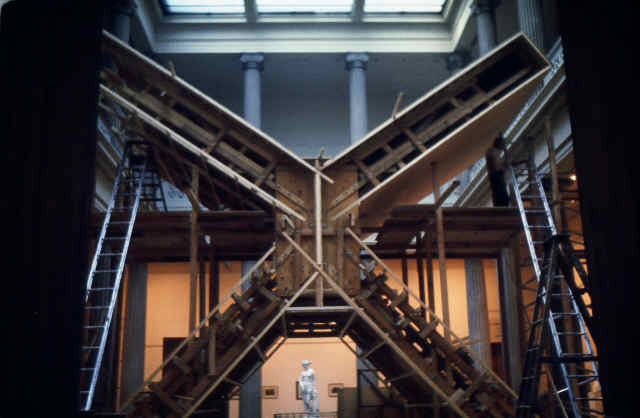 In October 1993 Hammons opened a show, curated by Deborah Rothschild, at the Williams College Museum of Art. Yardbird Suite, the indoor installation of boomboxes in trees playing Jazz was chill. 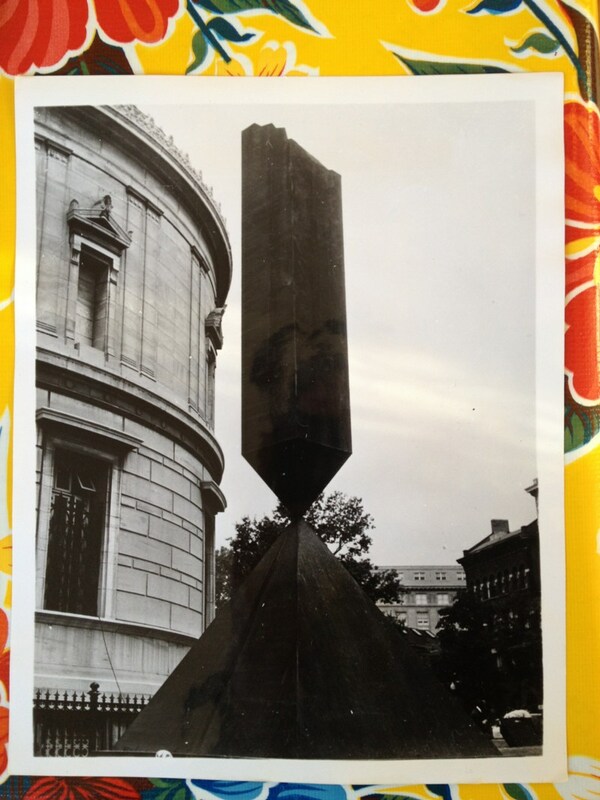 The six-ton boulder placed in front Chapin Hall at the center of campus, with antique fans bolted to the top, was not. Students began questioning and criticizing the piece as Hammons was installing it. He called it Rock Fan, which only seemed to incense those demanding deeper meaning or significance from this work of art temporarily in their midst. [He also told some agitated students that it was called The Agitator.] In Williams’ hyper-privileged and hyper-collegial culture, every gifted scholar was expected to be able to weigh in on everything. In practice, this meant students commented on Post-It notes on literally whatever poster, building, vending machine, or public sculpture they encountered. They criticized the site, the title, the fabrication, the aesthetics, the imagined expense, and the disruption. 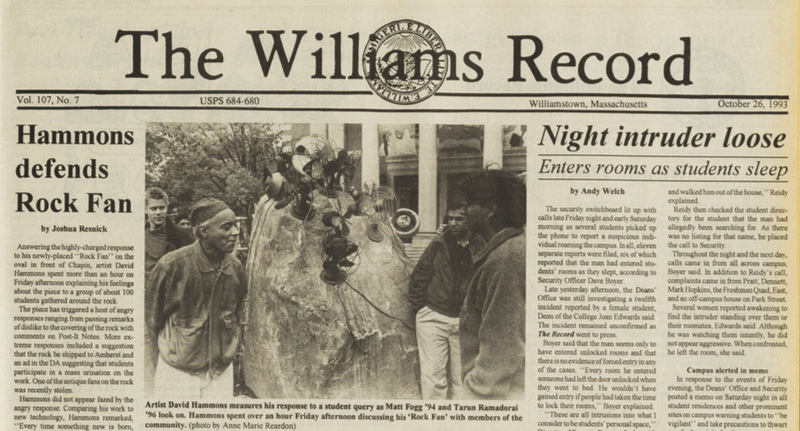 Some complaints were reported in the weekly student paper, The Williams Record. Additional back and forth took place a daily student bulletin, plus the Post-Its. While he was on site, Hammons gave as good as he got. “You don’t have to make it into some big mystery. Damn, relax. Use your energy on something else besides intellectual masturbation,” he said. 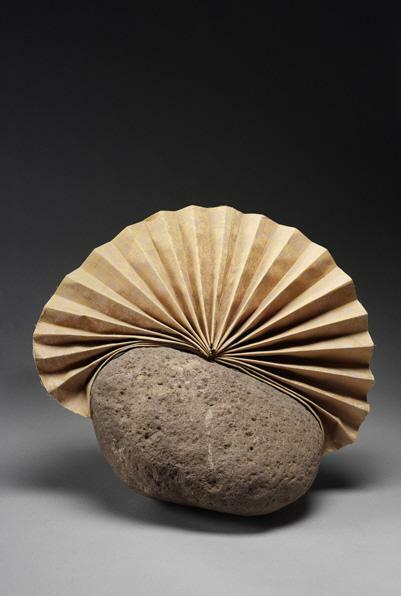 In the first couple of weeks, a student or students [I haven’t been able to find yet] surrounded Rock Fan with their own sculptural responses: accordion-folded paper fans glued to small rocks [top]. Then came the painters, dousing Rock Fan with purple paint for Homecoming. 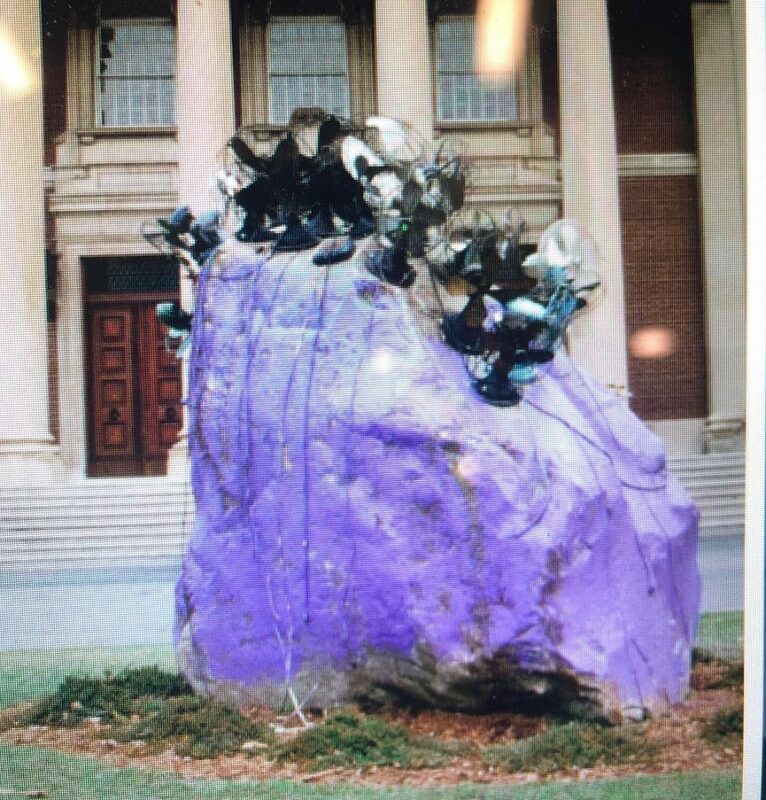 And this is a piece at Williams College called Rock Fans. This was protested. For about the last five months, they’ve been protesting this piece on their campus. And so some students made fans out of paper and put these little rock fans around the piece. It’s been vandalized and written about. And this is after Williams students painted the rock. Someone called me and told me that now they feel like it’s theirs, because they painted it their school colors. The transcript of the lecture–but not the slides–was published this year by the CCA Wattis Institute as part of their year-long program devoted to Hammons and his work. 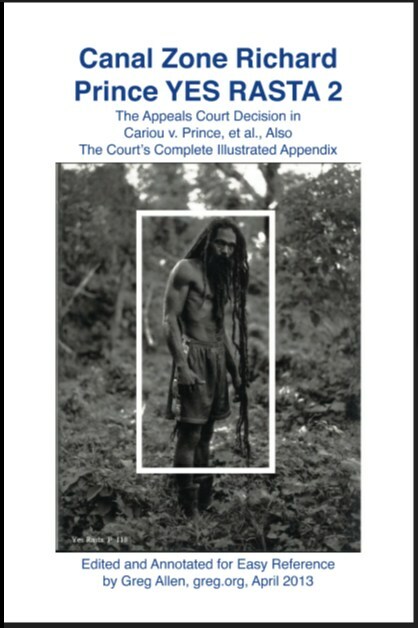 The book, David Hammons Is On Our Mind, was created in collaboration with the artist. There are photos he selected, a poem by Tongo Eisen-Martin, and a text by Fred Moten. Reading Hammons’ narration of invisible slides creates an exquisitely baffling disjuncture that has to be intentional. It definitely sent me looking for things I was not accustomed to seeing. Rock Fan was originally meant to travel to SFMOMA, too, but at some point Hammons decided it would not. He left it at Williams; it was removed in April, during Spring Break. The fans went back to the artist. I haven’t found the rock. 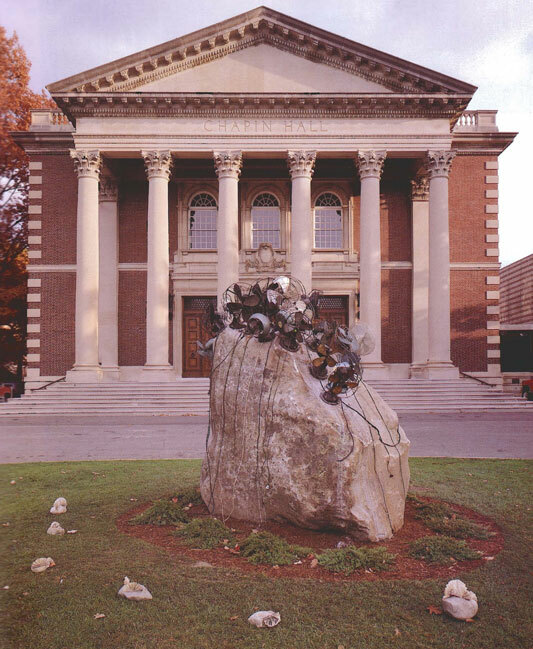 In 1997 Hammons appropriated the Williams students’ response to his sculpture to make a new Rock Fan out of a stone and pleated fabric. 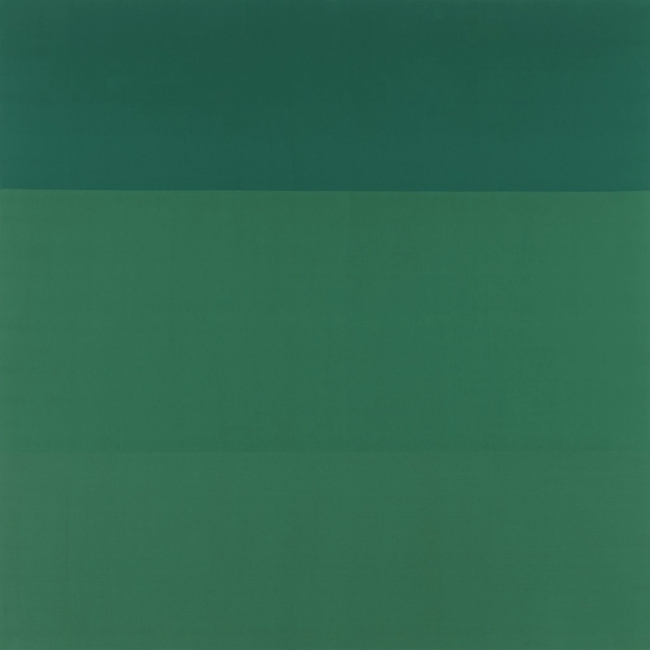 In 2004 the director of the Williams Museum found out about it at Jeanne Greenberg Rohatyn’s place, and acquired it for the collection. In 2012 Robbi Behr (’97) designed a Rock Fan-themed coffee mug for their 15th reunion. How ya like How ya like me now? ‘Art objects are tailored for physical spaces owned or controlled by the social elite.’ Will I never be able to stop returning to this 1995 Frieze essay on signifyin’? That is fine with me. 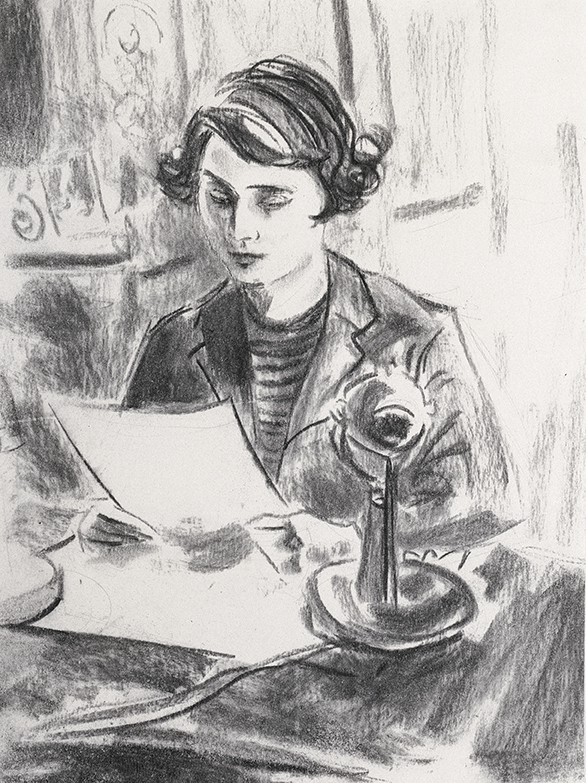 Phaidon lists the title for this 1993 drawing as, “Princess Elizabeth’s first radio address”. This installment of Better Read is the first to derive from an Instagram post. 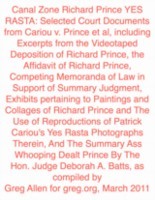 A few days ago Gavin Brown posted a picture of a text from what looks like a brochure or handout for his first show of Elizabeth Peyton’s work. 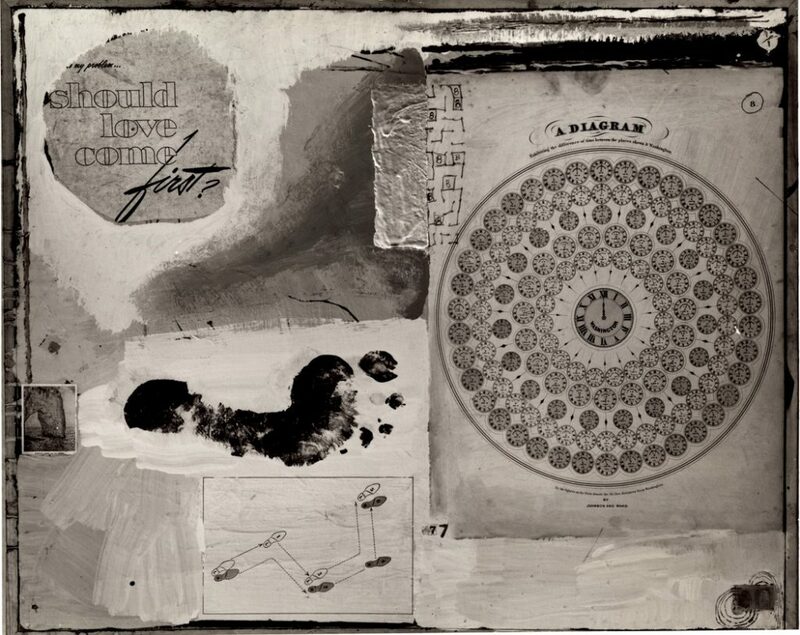 The text was by Douglas Blau, and the show was mostly drawings, and in a room at the Chelsea Hotel, because that’s how people rolled in in November 1993. In 2018, meanwhile, we apparently number our computerized readings of art-related texts slightly out of order. But there is an episode 25 in my drafts, and maybe two episode 22s, so this could be right or wrong or wrong in the other direction. Fortunately, it probably doesn’t matter, since if anyone does anything, it’ll just be to click through to Gavin’s Insta and read the damn thing yourself. Nancy Spector posted this to Instagram today. 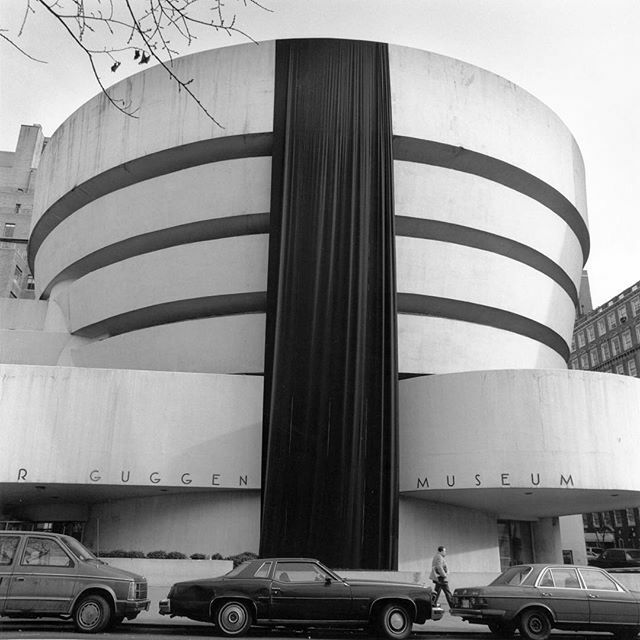 For the second World AIDS Day, December 1st, 1989, and the first Day Without Art, she and her then-boyfriend/husband-to-be Michael Gabellini unfurled a massive, black shroud from the Guggenheim. The original call for Day Without Art was to close museums, or to cover works of art as a reminder of the art that would not be made because of AIDS-related deaths. “At the time, we didn’t know the depth of loss we would be facing in the art community,” Spector wrote. 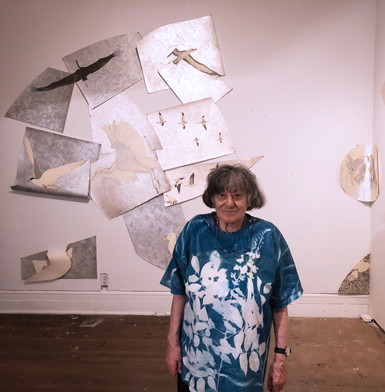 The artist Elizabeth “Betty” Stokes di Robilant was interviewed by Christie’s in May 2013. Stokes was a longtime friend of Cy Twombly. Their story and relationship and collaboration, and her later erasure from Twombly’s official story, is discussed in Chalk, a biography of Cy Twombly by Joshua Rivkin, which was published in October 2018. 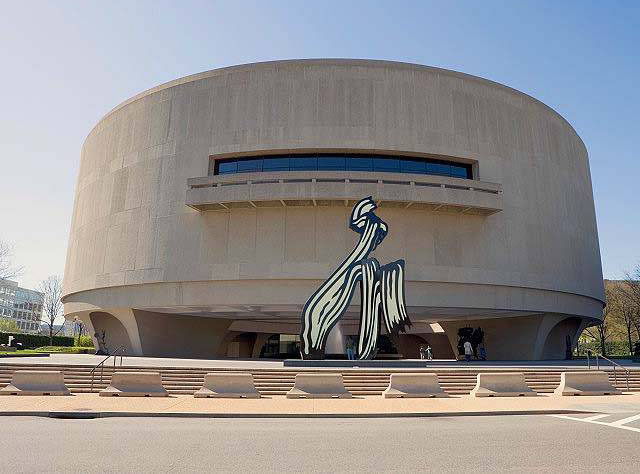 Rivkin quotes the interview by Robert Brown, which was published on the occasion of the sale of a painted bronze cast of a 1966 [or 1956, or 1959, or 1980 or 1981, or 1990] sculpture Twombly gave to dee Robilant for her 10th wedding anniversary. Twombly later reworked and cast the sculpture in 1990 in an edition of five. Di Robilant’s three children each got one; she got one, and Twombly got one. Ed. 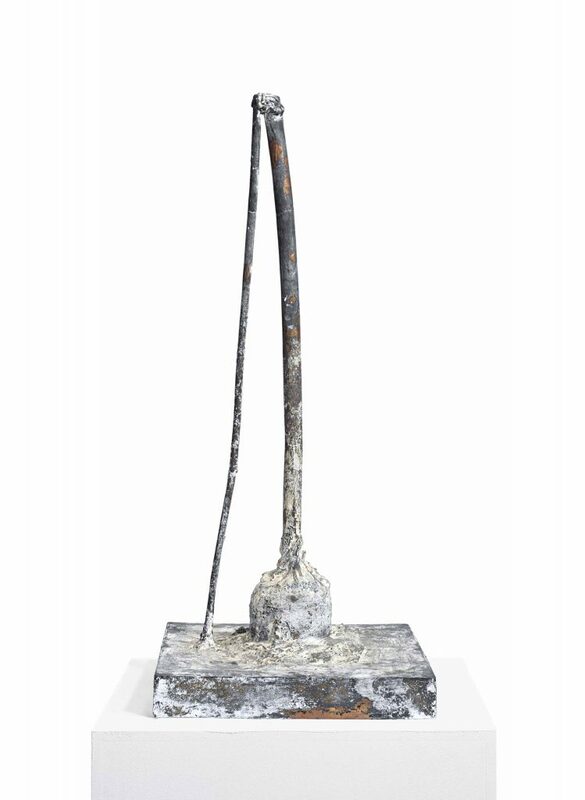 1 of 5 was sold at Christie’s London on June 25th, 2013, for GBP 1.63 million. Last winter I was visiting museums on the Mall a lot in order to write this review/roundup. It was pretty grim going, and I don’t think I was wrong about the mood. These black cubes appeared along my drive, and I would take note of them, think about them. 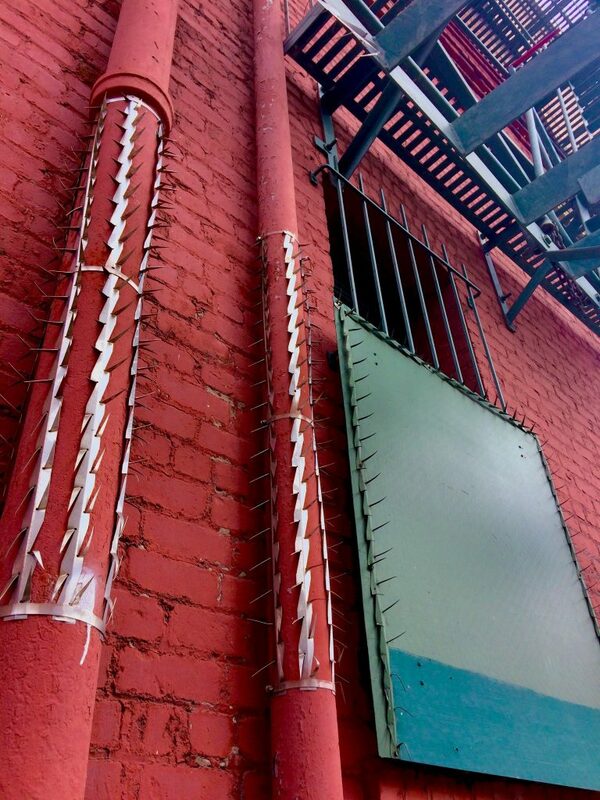 They had an eye-catching, out-of-place presence and no discernible purpose, which made them feel of temporary sculpture. They were also alongside a conduit road whose main feature was not slowing you down on your way, which created a tension, if only for the briefest (passing) moment. 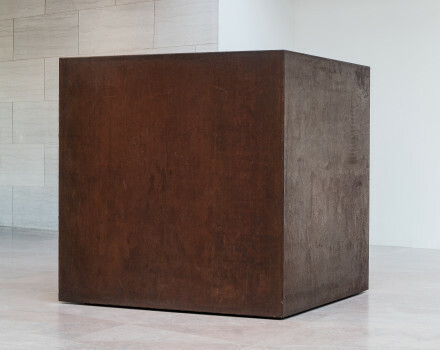 Tony Smith, Die, 1968, 400px image via NGA, because I guess any larger scale would have made this jpg a monument. 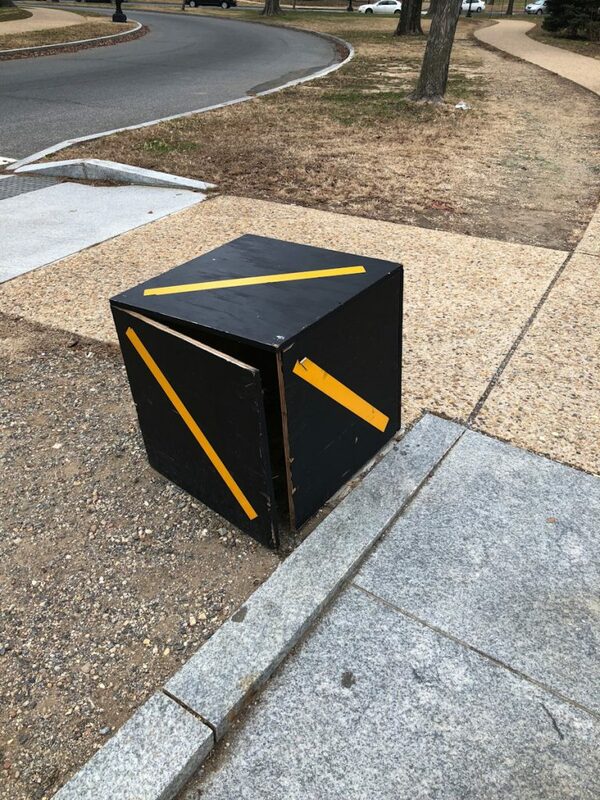 They made me think of Tony Smith’s Die, obviously, but if anything, that easy association pushed back against my own doing anything with these cubes. 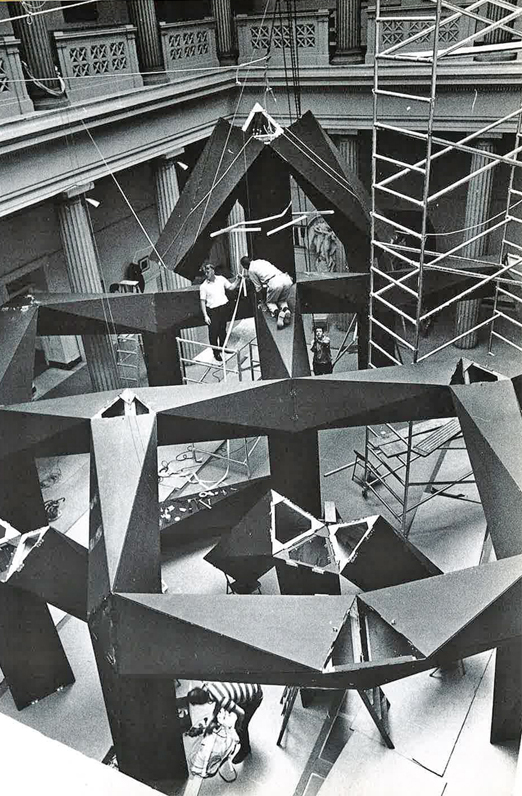 They also made me think, though, of Smith’s massive 1967 sculpture Smoke, which, like so much of his work, first came into being as black plywood. Anyway, these boxes were not placed where they are for artistic reasons. I finally went to investigate them on foot in January. 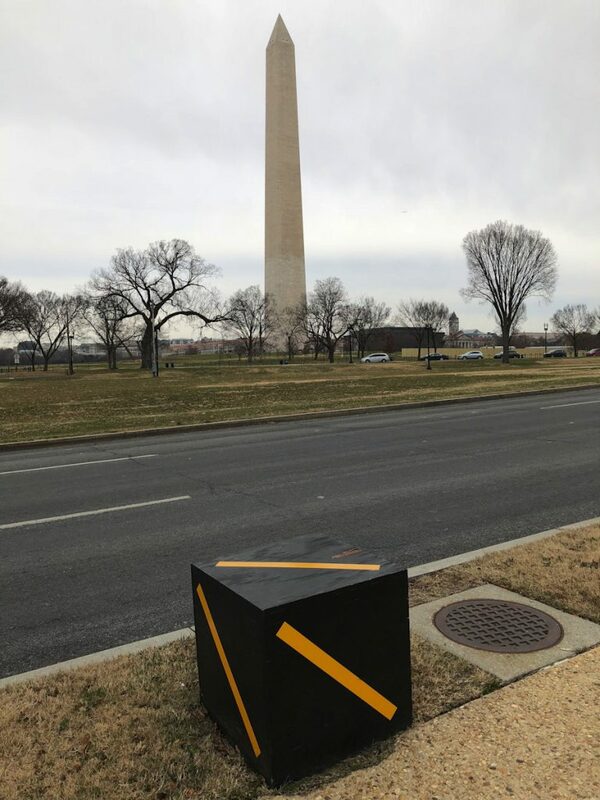 They’re cover/markers for some infrastructure node, presumably related to the construction staging on the lawn between the Tidal Basin and the Washington Monument. They’re close to crosswalks; maybe they’re hookups for eventual pedestrian crossing signals. But this is not really the time, and these are not in the place, for benign indifference to the apparatus of the state. In this era of plate readers, wifi sniffers, Stingrays, and ICE raids on pizza delivery guys, these black boxes now feel like–like black boxes. Given what we keep finding out on a daily basis in DC, what could we possibly not know yet? You don’t have to be Trevor Paglen to wonder about the menace of ersatz apparatuses popping up on the major thoroughfares of Washington. Are they some nefarious surveillance system in waiting, or one that’s already at work? 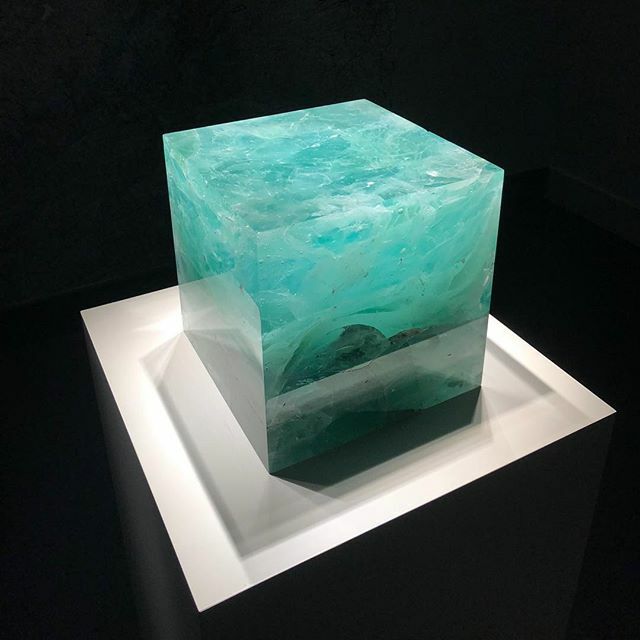 The intervening months have also brought Paglen’s Trinity Cube and Rachel Whiteread’s cast voids to town, and so I still pass these cubes and still think. One thing I think a lot about is the point of declaring something a work. Another thing is declaring. Another is a work. Sometimes, during a year of wondering if I’m rationalizing, I wonder if the reflexivity, the impulsion, the emptiness of these things are reasons in themselves. Emptiness as Content. [W]e’re used to the idea of calling what he did as sculptural now, because we’ve come through Minimalism, and the artist’s mark, and having things fabricated, but at the time, that was still largely unheard of: that you could order a sculpture. That you could have something fabricated in a shop, and it would be a sculpture. Did he think about that much, or was it not a concern for him? Well, it wasn’t that way with him, because he wanted to be a part of every step of it. He didn’t order something and then it came. He worked in all the materials, in the actual welding, and finishing, and this, that, and the other. He had to know everything about how things were made. No, he had a beautiful vision. 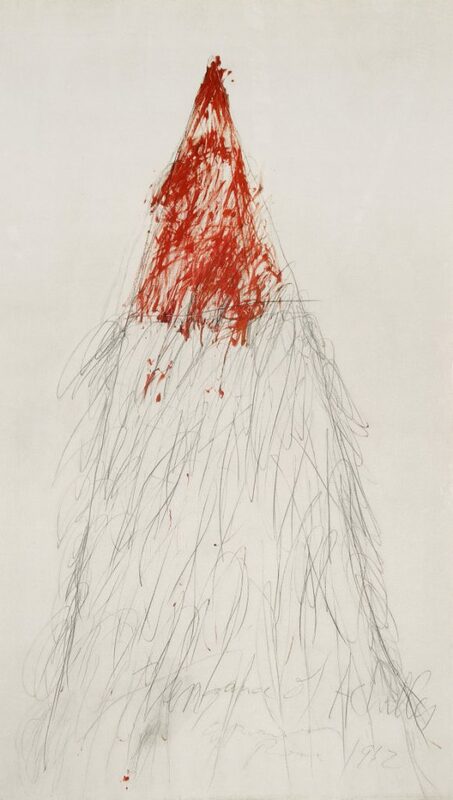 I somehow had not seen or noticed this 1962 Cy Twombly painting, The Vengeance of Achilles, in the Kunstmuseum Zürich. And I did not see it–or anything, tbh–at the Pompidou’s Twombly retrospective a couple of years ago. But its mountain-like, or volcano-like, form is amazing. Also it’s huge, three meters tall. Most of those marks are within an arm’s reach, but some of them look like they required Twombly’s full wingspan. 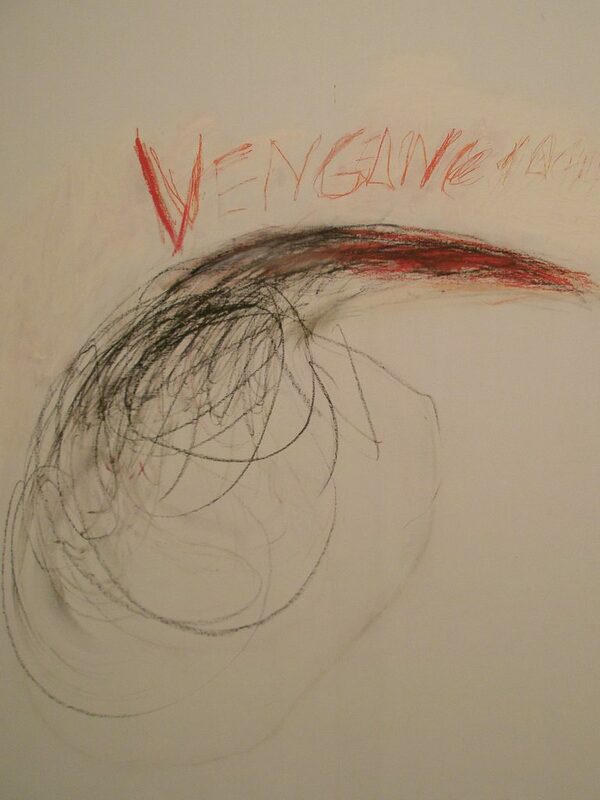 Then while looking up more information about it, I realized that one of the equally huge paintings in Fifty Days at Iliam, which Twombly painted 16 years later, and which are at the Philadelphia Museum, is also titled Vengeance of Achilles. Aaaannd I guess that is not a mountain. 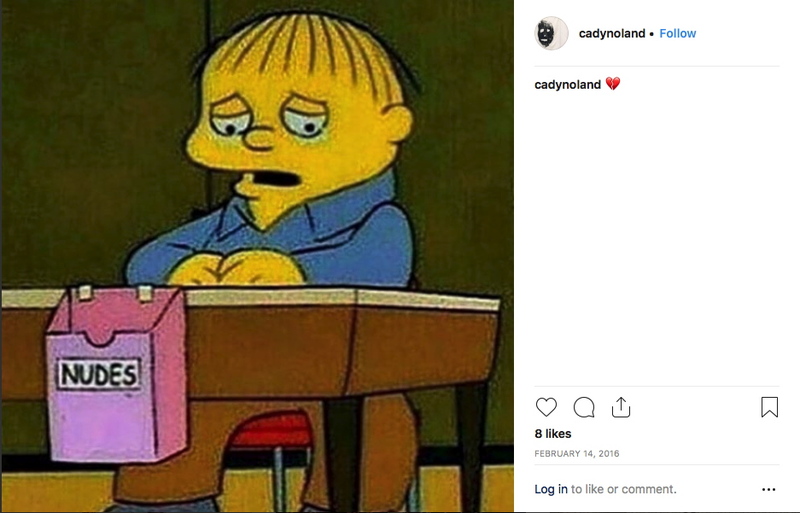 It is not clear if it is indeed the artist behind the account, but @cadynoland‘s posts are clearly from the Noland Instagrammic Universe. 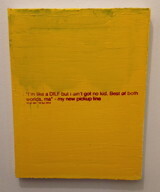 Of 120 photos so far/at the moment, there are currently only three that contain comments by the artist accountholder. 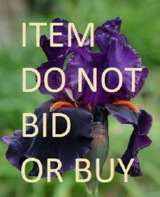 If or as more are added, and or if or as more information becomes known, this post will be updated. 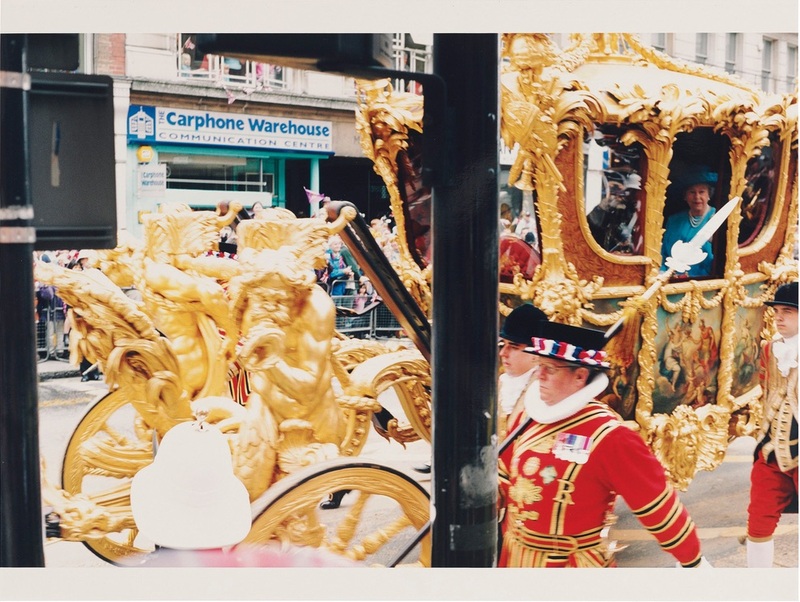 I am a bigger fan of Wolfgang Tillmans than of the British royal family, but this is a truly excellent image, and I would definitely like to see it IRL, preferably pinned on my wall. 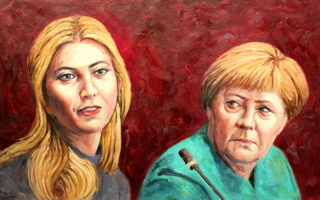 It’ll be sold at Christie’s during Frieze Week. As a 1/1 acquired directly from the artist, and with no exhibition history, I’d imagine this print has an interesting story of its own. 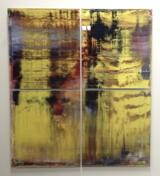 If I don’t scare up an extraneous GBP 50,000 by next month, perhaps a Shanzhai Tillmans series is in order. Of course, unlike a Shanzhai Gursky, I’m not sure what the difference between a Tillmans and a Shanzhai Tillmans would even be.